The Pokemon Company, developers of Pokemon Quest, announced today that the free-to-play game has been downloaded more than 7.5 million times for the Nintendo Switch game console and the iOS/Android smartphone platforms. The game was first made available to Nintendo Switch users late in May before launching in the Apple App Store and Google Play Store on June 27th. While the Pokemon from the original Red and Blue games appear in Quest, you might call them blockheads. That's because everything is cube shaped, even the pocket monsters, on the fictional Tumblecube Island. That is where the action takes place. And speaking of action, battles are fought by tapping on your phone's touchscreen. While the game is free to install, there are in-app purchases that range from $2.99 to $29.99. Some of those paid extras include stones that increase the damage done by your Pokemon when they attack an opponent, and others that help restore the health of your battle-scarred Pokemon. The most recent data shows that Pokemon Quest generated over $3 million in revenue during its first week in the App Store and the Google Play Store. Users of the iOS platform were responsible for more than half of that amount, while players in Japan contributed 31% of the gross. U.S. and South Korean Quest players were next, accounting for 25% and 12% of the $3 million in revenue, respectively. 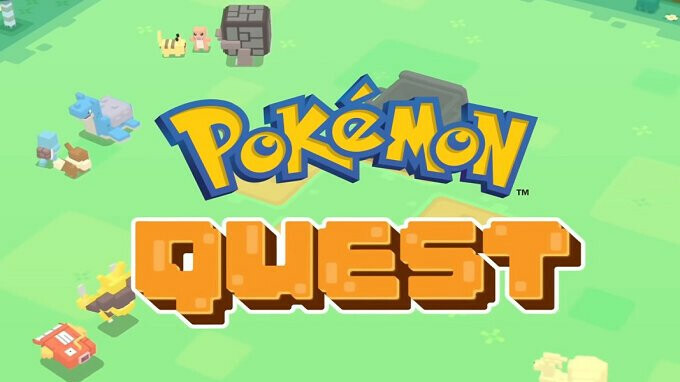 Pokemon Quest could piggyback on the successful AI-powered Pokemon GO game. Now two years old, the latter is officially a phenomenon as it still is drawing in $2 million in revenue every day, according to Sensor Tower. Unlike Quest, 58% of the app's revenue comes from Android users. Pokemon Quest is available for phones and tablets with 2GB of RAM or more, running on Android 4.4 or higher. Apple iPhone, iPad and iPod touch owners must be running iOS 9.0 or higher. You can install the game on your phone by clicking on the appropriate link: (iOS|Android). I noticed phone arena always posts everything thats new new or happens with Pokemon and no one ever comments I guess them like me don't care lol maybe because this is a phone website not a poke website .